When an Employee applies for leave he can know how many leaves are in balance (Casual Leave, Privilege Leave, Sick Leave etc) through Leave Management System. We can categorize Leaves into encashable leaves/ non encashable leaves. The management allocates the number of days for each category of leave in one year. We can also set the carry forward limit for leaves. The details given in the leave application are linked to the payroll system and the Employee’s Salary is generated in accordance with his attendance. Employees are assigned to different shifts. (Note: It doesn't matter if there is just single shift in the office) The management can define Shifts and the following data is captured. 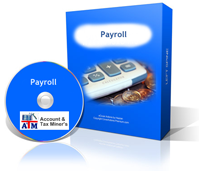 Payroll Management System gives your Management the flexibility of creating Salary Heads, Salary Formulae, Professional Tax Slab, creating own Salary Structures and finally simple click Pay slip generation. Through this module the Employee can be promoted, demoted, transferred to a different branch or just simply given an increment through improved grade. The past history of the salary structure is kept in records and is available for presenting it to the management in the future. HRD Procedures like Bonus, Final Settlement, Encashable Leaves Status, and Leave Updating is also provided through the software. Approvals of the Leave applications of the Employees as well as the Leave Travel Allowance application of the Employees are also included in HRD Procedures. The Employee can also apply for The Leave Travel Allowance through the software. HR can maintain the Tax deducted at source details after the employee gives his projections for the financial year’s investment. According to the projected details, the Income Tax shall be deducted per month from the salary of the employee. When the accurate details on the basis of hard copy reports of investments are fed into the software, then TDS is recalculated and accurate amount is deducted in the form of Income Tax. Form 16 is generated for all the employees. Form 24 is also generated in Excel sheet.